As the summer begins to draw to a close, it’s time to think about what to do with your garden furniture this winter. After all, it’s no use splashing out on the latest fancy garden set in summer, only to find it’s turned rusty or mildewed by next spring! Protecting your garden furniture isn’t hard to do, and it’s sure to save you lots of time, effort and cash in the future. 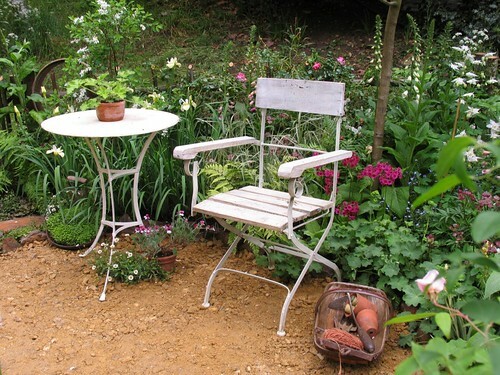 The simplest and most effective way to protect your garden furniture is to put it into storage. Whether this be in your garage, your conservatory or your attic, it’s an ideal way to defend your furniture against any harsh weather. Whether it’s stored inside or out, by putting a cover over your furniture, you’re adding an extra layer of protection. If your furniture will be exposed to sunlight, then choose a cover with a UV filter to prevent bleaching by the sun, while waterproof covers are essential if your furniture will be outside. To prevent mould growth under the cover, always make sure you leave enough space to let some air circulate. It’s also a good idea to make sure that the cover is arranged in a way that doesn’t allow pools of water to collect. If you really want to ensure that your garden furniture stands up to the elements, then it’s time to look into weather-proofing solutions. Most woods can be made waterproof by simply spraying or staining them with a special varnish. These are usually available in both clear or coloured versions, so you can even give your plain-coloured furniture a classy update while you’re at it. However, while this will help to seal the wood and to protect it from water, fluctuations in temperature can still cause wood to warp. So on those cold winter nights your wooden furniture is best kept indoors. Naturally waterproof and weatherproof, plastic is the ideal material if you don’t want to worry about weather protection. However you can still find that algae will choose to grow on your table, so make sure to give it a quick wipe over every now and again. Over long periods of time plastic can become brittle if exposed to extremes of hot and cold, but it’s one of the least vulnerable furniture materials. Now if only it looked nicer! If you are the proud owner of a wicker furniture set, then Tung oil is the ideal solution to protect it from the elements.However, wicker is one of the more fragile materials used for garden furniture, so despite a Tung oil coating it should still be moved inside during heavy downpours. Wicker is also very susceptible to frost, so move it inside as soon as the weather begins to cool. If you have a cast or wrought iron patio set, make sure to keep a close eye on it as both can easily rust. Keep them inside during bad weather and look into weather proofing solutions such as a waterproof cover. If you have an Aluminium set on the other hand, you have no need to fear; while aluminium may be the most expensive of the three, it doesn’t rust, so it often works out cheaper in the long run! PVC rattan sets designed for the garden are naturally weatherproof, so you have nothing to worry about. However, rattan sets designed for indoor use are most certainly not, so never leave them outside for prolonged periods of time. You can easily wash off any dirt that builds up on outdoor rattan furniture with a hose pipe, and they will usually have built in UV protection, so they won’t fade in the sun. So whether you have rattan, metal or oak furniture, there’s a simple way to protect it. Do you know of any other ways to help your garden furniture survive the winter? Estelle Page is an interior designer and DIY addict. When she’s not busy working on her latest project, you’ll find her with her nose buried in the latest style magazines. She loves sharing helpful hints and tips and writes for Great Furniture Trading Company in her spare time. Wooden Flooring; Worth a bit of DIY?